Our 10 best Etsy finds for spoiling dad on Father's Day 2014! Our 10 best Etsy finds for spoiling dad on Father’s Day 2014! Father’s Day is coming up and we’ve trawled Etsy to find a heap of amazing and unique gifts to treat Dad this Father’s Day. There’s something for every dad, from hipster types through to geeks and regular Joes, whether it’s his first Father’s Day or whether he has a few special Sundays under his belt already. Come and take a look. Father’s Day lunch or brunch is the perfect opportunity to dress up a little bit. Imagine the aaaaws when Daddy comes to the table dressed all matchy-matchy with his little guy. 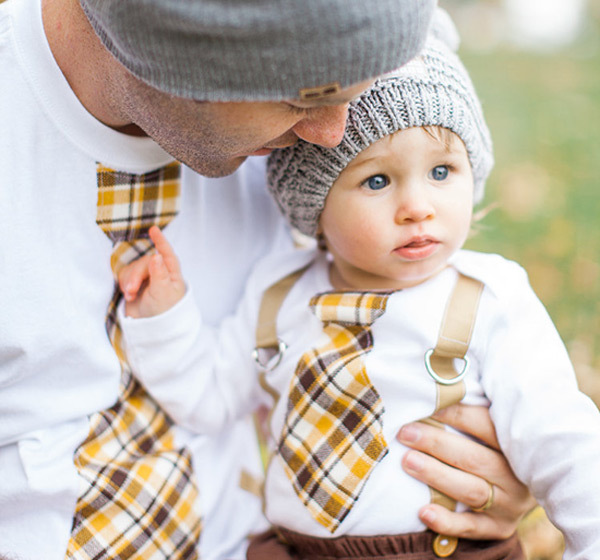 You’ll find these twin sets – a dad-sized tee and baby-sized bodysuit – with their very retro yellow and brown plaid ties and suspenders over at Chic Couture Boutique. Bodysuits come in sizes to fit from newborn to toddler, while the men’s tees are sized from small to 4XL. They cost $52 per set plus $11 post. Geek dads and Star Wars go hand-in-hand and here’s some Star Wars art that even the biggest Star Wars non-fans (that’s code for us mums) won’t mind hanging on the wall. These limited edition movie style Star Wars posters come from Concepcion Studios, giving a mid century modern twist to every sci-fi nerd’s favourite flicks. 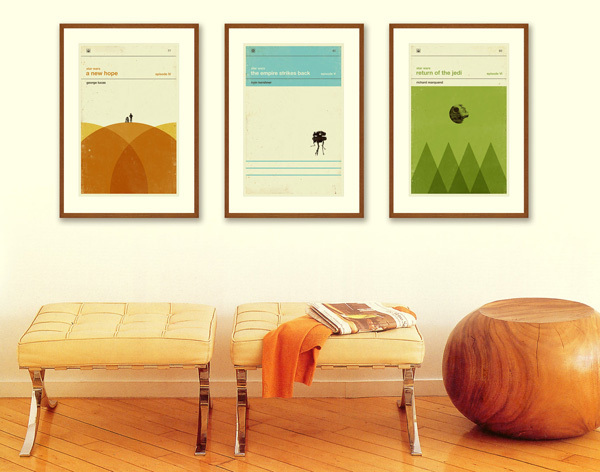 The set of three unframed prints paying homage to original Star Wars episodes – A New Hope, The Empire Strikes Back, and Return Of The Jedi – will set you back $66 plus post. It’s a cute personalised pillow. 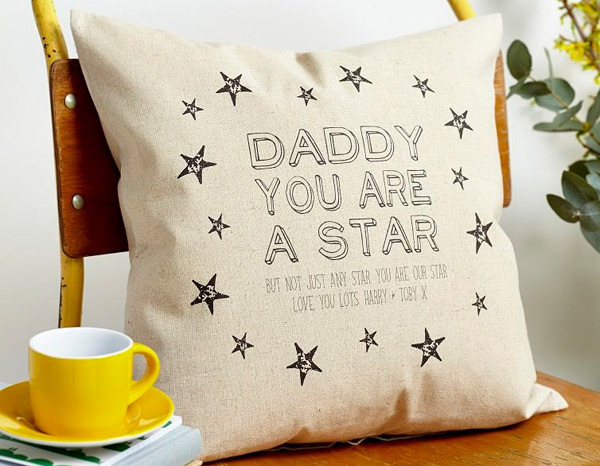 The Daddy You Are A Star cushion comes from Tillyanna and can be made extra special with the names of all the kids on the bottom. Sized just right for impromptu afternoon dad naps on the couch, it costs $56 plus shipping and comes complete with pillow insert so dad can use it right away. Now for those inner city hip types. 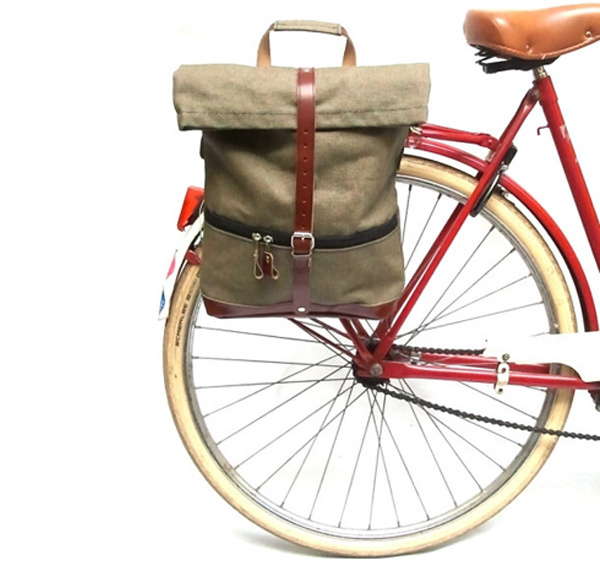 Go old-school for Father’s Day with this retro bike pannier that’s made from water-repellant canvas and leather. It can easily be fixed to the rear rack of most bikes and is just the thing for dads who ride to work. There’s a special padded compartment to protect laptops or tablets, along with plenty of room for stashing all manner of other stuff besides. It comes with an extra strap so it can be worn over the shoulder too. Made in Poland, the Klist bag costs $142 plus post from Bike Belle. Hairy chins are still a thing so keep dads well groomed with beard tonic so they’re a bit more Michael Fassbender and a bit less ZZ Top. 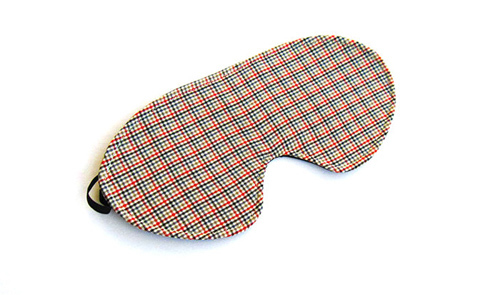 This bergamot-infused blend promises whiskers that are more tickly than scratchy, so it’s good for bedtime kisses. Plus we love the natty packaging. 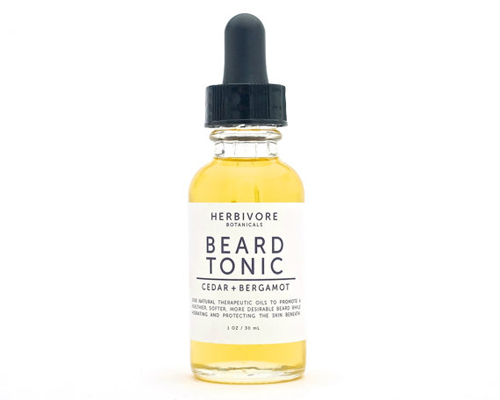 It costs $20 plus $10 post from Washington-based Herbivore Botanicals. 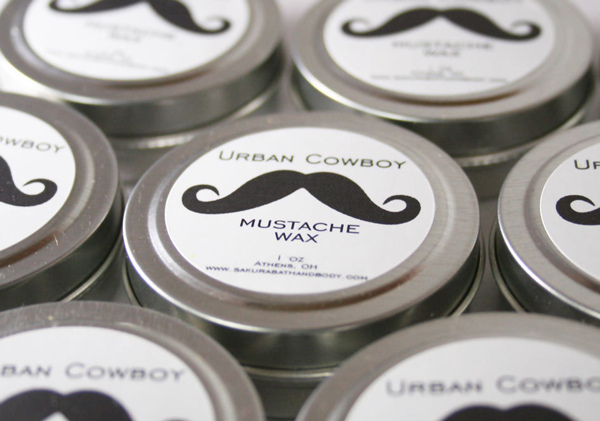 If dad has less beard and more mo, you might consider a handy tin of Urban Cowboy Mustache Wax. Whether dad just wants to keep his top lip neat, or whether he’s inclined to twirl that moustache into all sorts of fantastical shapes, this wax is the stuff to do it. A blend of sweet almond oil, coconut oil and beeswax, there’s base notes of amber, patchouli, oakmoss and sandalwood with a bit of grapefruit and bergamot on the side. Yippee ki-yay. It costs $11 plus $9 shipping from Sakura Bath and Body. 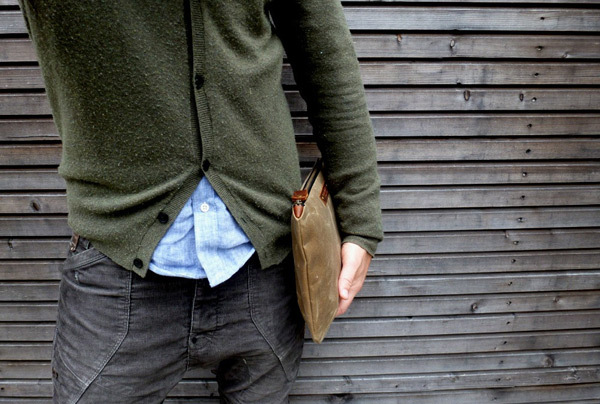 I am in all sorts of love with this waxed canvas pouch from Treesizeverse. Made in Belgium from waxed canvas and oiled leather, it’s perfect for dad’s morning commute. Just slip an iPad or book inside for the walk to the train station and he’s good to go. Dad can tote it around town tucked under his arm or slip it inside a bigger backpack or satchel to keep all those mannish necessities at hand. A generous size, it can also fit some small laptops inside. A zipper closure keeps everything safe and neat. It costs $61 plus post. 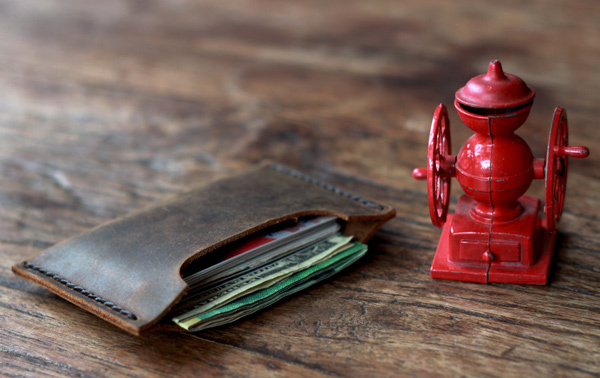 If the kids are keen to do the buying and the pouch bag, for all its stunning good looks, is a little beyond their pocket money budgets, consider this minimalist men’s leather wallet instead. Sized just right for a wad of cash and a credit card or two, dad will use it every single day for a very long time to come. It’s not bulky so it will slip nicely into the jeans pocket or suit jacket with dad’s phone. It costs a very kid-friendly $12 and post is less than $7 too, from JooJoobs. Who says fatherhood can’t be fun? Not any dad sporting this hilarious tee, that’s for sure. 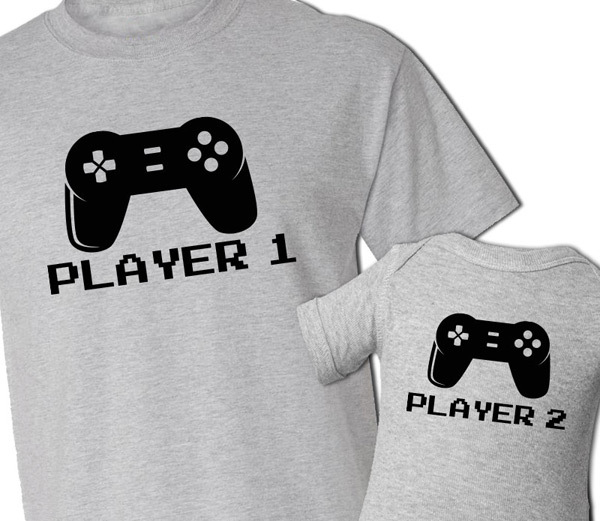 One for gamer dads, this twin set has a big Player 1 tee for pop and a teeny Player 2 bodysuit for bub. Buy it, if only for the chance to crack everyone up at the obligatory “this is your life” picture show at your baby’s 21st one day. The set is priced from $38, depending on what size you need. The baby version is also available from Zoeys Attic in a t-shirt for toddlers and bigger kids. Happy shopping and an even happier Father’s Day!